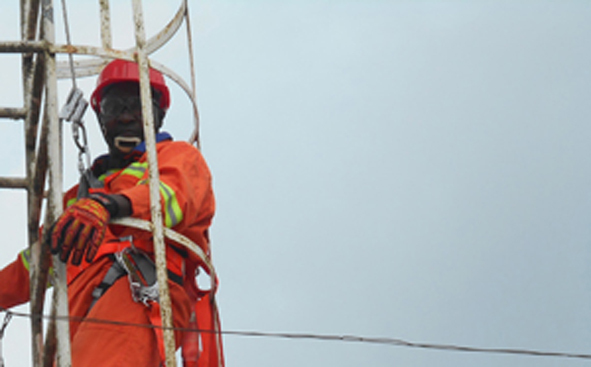 Cambusum is a company working with Ericson Communication and engaged in Network Rollout, Fibre Optic, Civil Engineering and Active and Passive Maintenance. 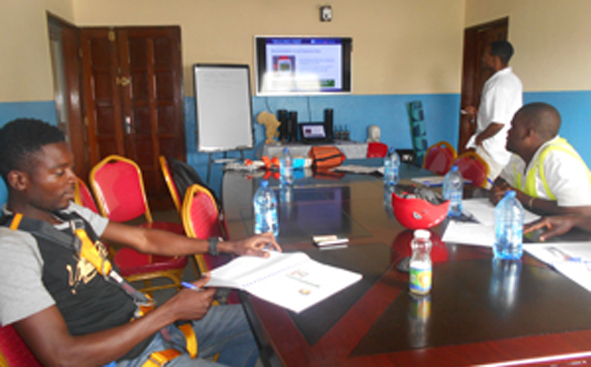 it has contracted Hy-Classe Training to train all its Telecom engineers working for Ericson communication, HUAWEI, and Alcatel Lucent. 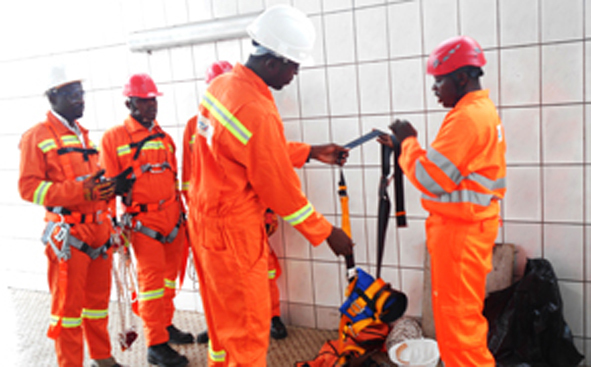 According to the terms of the Hy-Classe Training, an enterprise of the Hy-Classe Group of companies will train all the telecom engineers of Cambusum on Work and Rescue at Height, protection against electromagnetic energy, First Aid, Firefighting, Health and safety Awareness, Hazard Identification and Risk reduction. Hy-Classe Group will design and facilitates implementation of a Quality, Health, Safety and Environmental management system that respond to clients’ requirements and standards of ISO and OHSAS. 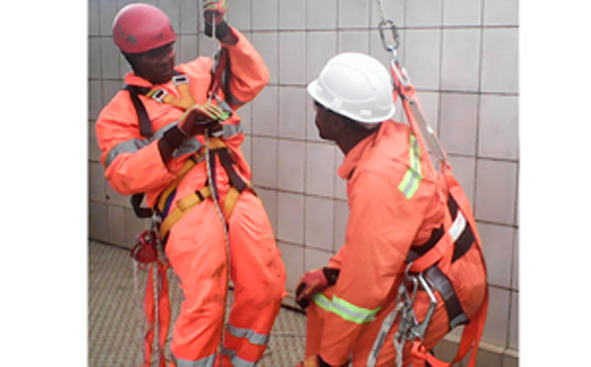 Training of telecom engineers on work and rescue at height has begun. 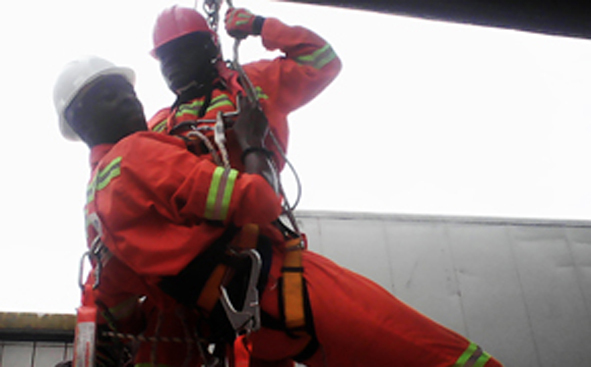 The first set of trainees for the work and rescue at height training completed the course late April 2016. 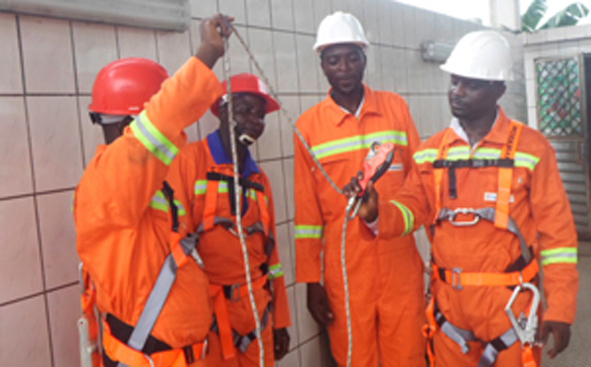 The participants lauded with enthusiasm the skills and competence of trainers assigned by Hy-Classe Training to carry out the training course on work and rescue at height.